Welcome to Preparation Day (Erev Shabbat) Linky series. This a place where tips, recipes, reflections, resources, and encouragement is shared. Please join us with anything you feel would encourage and bless others in Shabbat preparations. The linky opens for submissions first thing in the morning on Wednesdays and ends on 5 pm on Fridays every week. (North American Central Standard Time Zone). If you have anything that you would like to share, we'd love for you to link up. Older posts are always welcome! Looking for more recipes and for more preparation tips? click here. As we are now entering the season of Biblical Spring Feasts this linky theme will stay open. and will be leaving the linky theme "open" until this season passes. We would be honoured if you would post, remember we are all about edifying and being of encouragement to others. The Prep Day Linky is designed to be a blog hop. This allows you to get the code and put this linky and post it on your blog if you would like. Remember Shabbat Shalom Link-Up will take place Fridays where you can post, devotionals, worship music, encouragement inspirational post, anything related to helping us keep a worshipful and restful Shabbat. If you don't have a blog, we encourage you to leave your comments below. 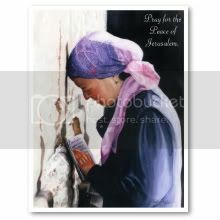 May you all be blessed during your Shabbat Preparation time. Therefore encourage one another, and build up one another, as indeed you do.